In Rwanda, quality roads and city landmarks constructed with the assistance of China or built by Chinese enterprises can be seen everywhere. Chinese enterprises have elevated the local infrastructure, improved the urban environment and living conditions, created jobs for locals, cultivated a group of professionals and spearheaded scientific management modes in the African country. Li Jianbo, general manager of the Rwanda office of China Road and Bridge Corporation (CRBC), has lived in Rwanda for more than 20 years. He calls himself a “Rwandan local” and has developed great attachment to this land. 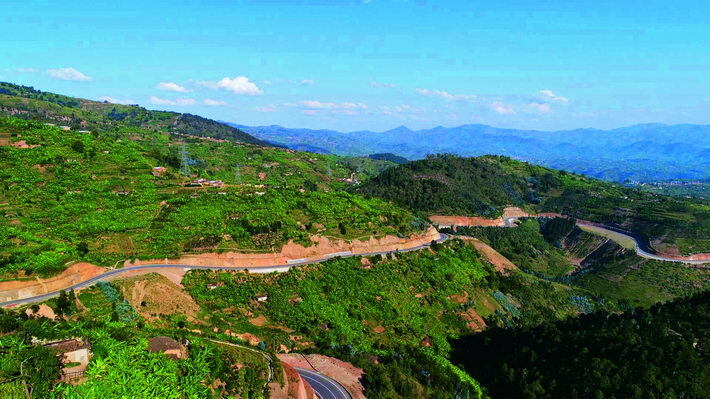 In Kigali, the capital and largest city of Rwanda, Li is most proud of the CRBC-built roads. Over the past four decades, his company has been contracted to build 26 projects. The cumulative length of roads constructed by CRBC exceeds 1,200 kilometers, accounting for nearly 70 percent of Rwanda’s total. A prime example is the 160-kilometer Kigali-Rusumo road, which was built in 1974. Today, the road remains in good condition and has maintained its reputation as a “Model African Road.” CRBC also received Rwanda’s Engineering Quality Award and Distinguished Contribution to the Beautification of Kigali City award for a 36-kilometer-long urban road upgrade project in Kigali. China Civil Engineering Construction Corporation (CCECC) arrived in Rwanda in 1983 with a project to build Amahoro National Stadium, a major sports venue. Today, this stadium remains the top choice in the country to host important sporting and other major events. Abundant advanced technologies from China have been employed by CCECC in its work. For example, the 20-story Kigali City Tower, a city landmark in which the locals take pride, was completed with a number of advanced technologies. Wang Lei, general manager of CCECC Rwanda office, tallies 30 projects undertaken since the company entered the Rwandan market. 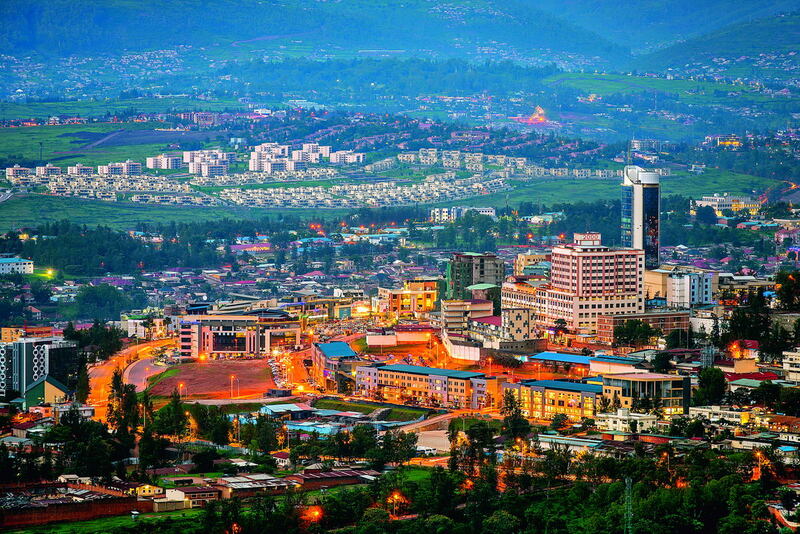 Gifted with excellent public security, good management, and a pleasant environment, Rwanda has attracted an increasing number of Chinese enterprises, including STECOL Corporation. Chen Wuqing was dispatched to Africa by STECOL in 2004 to oversee the corporation’s engineering projects in Kenya. In 2013, the corporation began working on the second-phase of an infrastructure project in Kigali Special Economic Zone and has since been active in Rwanda. 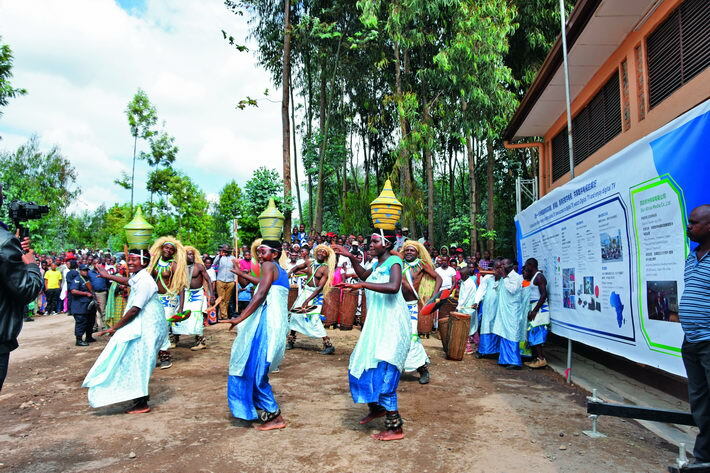 STECOL is now working on seven projects in Rwanda, covering fields like municipal engineering, water conservation, highways and hydroelectric projects. These projects created many jobs and cultivated a large number of local equipment operators and technical workers. Denise Ingabire, a local who was hired as an executive manager by STECOL Corporation, says that she studied civil engineering in China. After graduation, she returned to Kigali and was eventually hired by STECOL. Ingabire said she was happy to get the job so she could use the knowledge learned in China in her everyday work. The ambitious girl aims to gain wider experience in the company and make greater contributions to her own country. At present, around 870 local employees work for STECOL Corporation, and that figure may jump as high as 3,000 during construction. According to Duan Shengwei, deputy general manager of the corporation’s East Africa branch, alongside road construction, his company also sends technicians to perform road maintenance after completion and even help locals repair roads that were built by other companies. 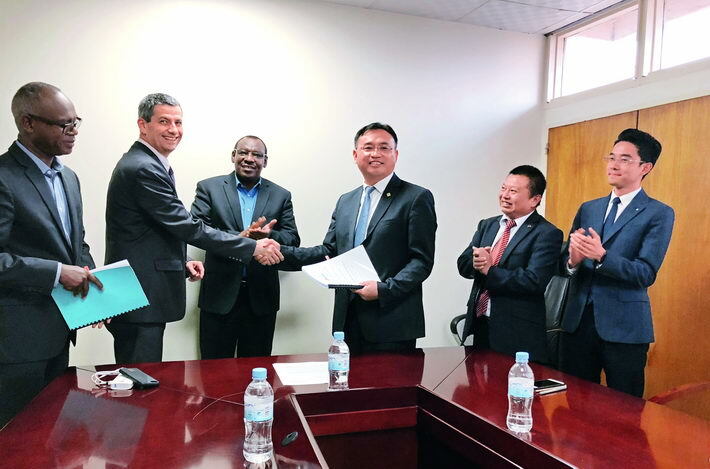 The company committed to an expansion and upgrade project on the Nyagatare-Gabiro road, a major international artery connecting Rwanda, Uganda and Tanzania. In May 2018, a mudslide triggered by a rainstorm destroyed a road 50 kilometers away from the project base. The company quickly responded and cleared the road known as a “life passage” by locals. Local government, residents, and media were extremely grateful for this endeavor. On June 6, 2018, the corporation signed a commercial contract to construct the Nyabarongo II Power Station. The dam will serve flood control and irrigation functions once completed, and 20,000 hectares of farmland will be developed at the lower reaches of the Nyabarongo River. This is the largest project in terms of contract amount in Rwanda since the country gained independence in 1962. Completion of the power station will ease power shortages, prevent floods and improve irrigation of farmland. In Rwanda, Chinese enterprises co-exist and develop harmoniously with locals, and actively fulfill their social responsibilities. In 2015, Chinese entrepreneur Ma Xiaomei came to Rwanda to establish a garment factory upon an invitation from the local government. Her very first recruitment drive attracted more than 200 applicants. Textile is a labor-intensive industry, and the local government expected to create more jobs. Governmental support and good public security inspired a lot of confidence in Ma. 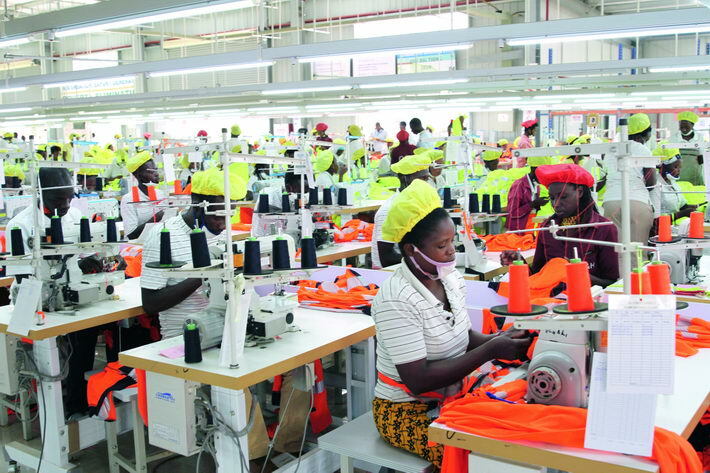 Rwanda’s textile industry suffers from a weak foundation and inadequate technical personnel. Ma invited senior Chinese and Kenyan trainers to teach her Rwandan workers clothing manufacturing. After a three-month training program, products by Rwandan workers were up to quality check standard. Ma’s investment in Rwanda established the C&H garment factory, the first of its kind in Rwanda. The ambitious Chinese entrepreneur set her sights on the bigger goal of “Made in Rwanda.” In the past, Rwanda had relied on importing second-hand clothes. Thus, the government was determined to produce domestically made clothes, showing great enthusiasm for developing the textile industry, which is the primary reason they invited international textile trade professionals like Ma. With 25 years of experience in textile and garment manufacturing, Ma loves Africa and hopes that more Chinese textile enterprises will come to Rwanda to boost its burgeoning textile industry. StarTimes Group, with a mission to “share the beauty of digital television with Africa,” is highly influential on the continent. The group now provides 16 million African households with inexpensive and captivating digital television programs 24 hours a day, seven days a week. The group has opened a new window for African people to understand the world and quickly become a conduit of China-Africa cultural exchange and friendship, driving Africa’s participation in the Belt and Road Initiative. On August 26, 2008, the launch ceremony of StarTimes Rwanda was held. Rwandan President Paul Kagame, Rwandan government officials and Sun Shuzhong, then Chinese ambassador to Rwanda, attended the ceremony. President Kagame delivered an important speech at the site, praising the project and expounding on its significance to his country. StarTimes Africa employs 90 percent local employees across all of its projects. These employees are active in posts such as administration, business affairs, legal affairs and marketing. Cultivation of local professionals has set a solid foundation for promoting development of digital television as well as the radio and television industry in Africa.